I’ve said it before and I’ll say it again. Google Ads is a really really old product. It’s a legacy product not to say it’s not a great product but it’s really really important that you follow best practice when using Google Ads. In this video, I’m going to teach you exactly how to create Google Ads campaigns using and leveraging best practice to get the best results you can for your campaigns coming up. 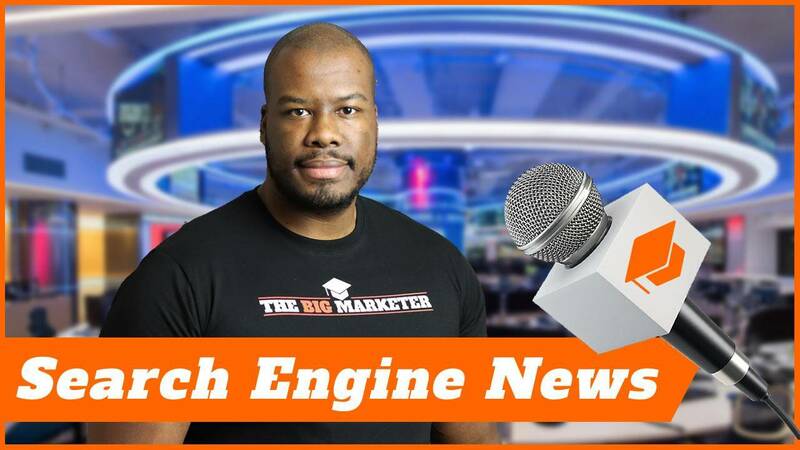 Hey there, guys, Darren Taylor of thebigmarketer.co.uk here and my job is to teach you all about search engine marketing. If that’s up your street we should consider subscribing to my channel. 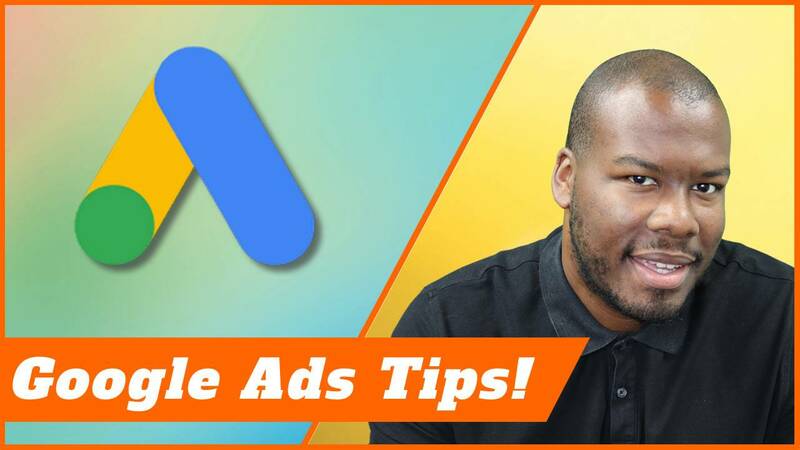 In this video, I’m looking at Google AdWords or should I say Google Ads best practices that you can use for your campaigns in order to make sure they’re successful. Let’s get right into it right now. First things first, most campaigns have to start off with keyword research. Obviously, you need to make sure you know what kind of keywords you want your business to show on the search results page for. This is a really really important step. In fact, it’s probably the most important step when creating a Google Ads campaign. You really need to put a lot of effort into it. What do you do? Well, first of all, head over to the Google Keyword planner and build out a keyword list based on your business’ targeting niche. Once you get that list of keywords from the Google Ads keyword planner, you’ll definitely notice within that list there are a number of keywords in there that don’t fit your niche. They don’t fit your business, they’re a bit out of your target zone, they’re a bit I guess irrelevant as well. All of these types of terms you need to make sure you filter out from that list before you go ahead and set your campaign’s up. In addition to that, what you also need to do is concatenate your keywords. That’s using tools like the tool unfound which is a PPC agency who created a free tool that allows you to concatenate keywords using different match types as well. This will also help you create new keywords and build out your keyword list. AdWords Best Practices will help you get better ROI! When you create a keyword list using found or a tool as well that can concatenate keywords then you can drop those keywords into the other area of the Google Keyword planner. Which will show you the results or the volumes involved in a keyword list you upload as opposed to finding new keywords. By doing that, you’ll have the best of both worlds you have the keywords Google have suggested. You’ll also have your own suggestions we’ve concatenated together. Do duplicate them see what the volumes are like and then go from there as well. Next up, staying with keywords and this is a big point and it’s negative keywords. Negative keywords allow you to stop showing your ads for specific searches that you find are irrelevant for your business. If you did a search for something around your business and there’s something very similar that is not a focus of your business, you can use negative keywords to make sure those I guess non relevant terms are filtered out by your campaigns. 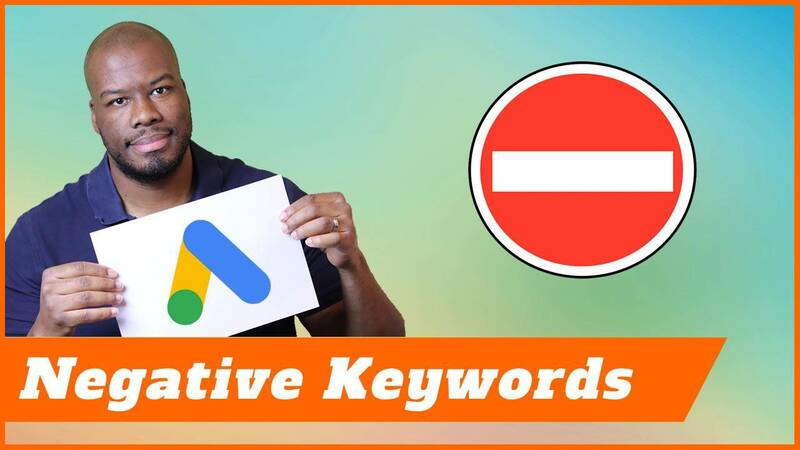 In the same way you did keyword research and used the Google Keyword planner to suggest keywords to you, you can use the keywords you omitted and removed from that list that you want to target as negative keywords and take elements of those and put them into your negative keyword list as well. In addition to that, you can use other keywords tools as well like the keyword IO tool which is something I use as well. I’ve linked that up in the description. You can also use things like Ubersuggest as well which can also help you find negative keywords, but even more important than that, there’s one other area you can use. You can actually just use Google. You can use Google auto suggest to see what comes up when you start typing in keywords you’d like to trigger your business to show up on Google. When you see they auto suggest results, you can see which ones in there aren’t relevant to your business and once you know that, you can filter those ones house really easily by adding them to your negative keyword list as well. Next up, we are looking at the structure of your campaigns. Of course, if you know Google ads and you’ve been running it for a while, you’ll know that there’s different hierarchies within your account. First off, you have the campaign level then you have ad group level then you have keyword and Ad level as well. All the way through all of those hierarchies is important to segment your campaign focus by ad group and by campaign as well. You can create multiple campaigns around different focuses within your business. Maybe you’re an auto repair shop and you do clutches you do gearboxes you do brakes you do general servicing you do MOTs. All of these different services you can do, you could segment those into from campaigns and by doing that, you can control the budget allocated to those campaigns. If you were to put all of those focuses into one campaign, then it’s first-come first-serve. The keyword with the most volume will get all the clicks and use all of your budget first of all in the first instance and not just that because your campaign focus will be so broad, you won’t get the best quality scores overall as well. Or the best click-through rates and you won’t be able to segment your campaign in the best way. What do you need to do? You need to make sure you split your campaigns up by focus and then within those focuses there’ll be micro focuses. There’ll be things you can niche down to even more and what you need to do with those is set up ad groups within those as well. In fact, a lot of people I speak to and a lot of agencies I know for sure use single keyword ad groups which are also known as Scaggs in order to make sure they really niche down their keywords because quality score is so important in Google ads. Your quality score will make sure you get cheaper traffic as well. This is why it becomes really really important to niche down because part of your quality score is all about the relevance of your ads and keywords to your landing page. By niching down and making really focused and targeted ad groups and campaigns as well for that matter, you can really make a big difference to your quality score. Meaning cheaper clicks and more profitable campaigns as well. AdWords Best Practices – Use All Features! Next up is really important as well and that is to use all the functionality within Google Ads because it’s really important that you stretch your campaigns to the limit. Because your competitor is going to be doing this as well. It’s important in order to beat them that you utilize all the functionality within Google ads particularly ad extensions. Ad extensions allow you to add more information to your ads to make sure you can get better click-through rates and show the user or the person searching more information as well. What does that include? It includes things like showing your location and your address, it includes showing off USPs in bullet points, it includes services. All of these different extensions they can really help you get more from your campaigns and make sure that you target people better as well. It can also help with your quality score because you’re going to make your ads more relevant as well. The extensions I’m talking about the circle around things like structured snippets, location extensions, call us extensions, site links, all of these kind of extensions you’ll find within your account are really important so they should be populated and used within your campaigns as and when you can. We’ve covered a lot of ground around things within Google ads but there are also things you need to consider outside of Google ads itself as well. The next thing you really need to consider is the position of your business in the market. Know what your competitors are doing know what you’re doing know the position of you in the market and understand price points, quality of product, diversity of product, and understand what your selling points are because these are really going to help you get better click-through rates when people go to the search results page and search for your business. Because they can see straightaway and you can also use extensions and ad extensions to do this and they can see straightaway what your business could provide them. If you’re cheaper tell people you’re much cheaper. If you’re more expensive but provide a premium service go on and tell people about your service. If you have a very large diversity of products, make sure they’re all listed there as much as you can. All of these different types of things around your business itself are really important to get across as well. My final point is around planning. There’s the old saying every single person here is probably heard which is if you fail to plan you plan to fail. For me, planning is so important. What you shouldn’t be doing is going straight to Google ads and just deciding to build a campaign just off the back. If we’re looking at what the options are available and it’s coming off the top of your head and understanding what you think people are going to be searching for, planning is so important. In fact, planning is what this whole video has been about but in addition to that, what you shouldn’t be doing is planning why do you have Google Ads open because it can confuse you, it could put pressure on you to fill in the campaign details more quickly. You should be going into Google Ads knowing exactly what you plan to enter. In fact, what I’ve done is I’ve gone ahead and created a Google Ads campaign planning spreadsheet which will allow you to choose your keywords allow you to plan your negative keywords your ad copy your campaign structure your ad group structure all the elements of a campaign are catered for in this free spreadsheet. Guys, I’ve linked that up in the description below. If you really want to get your hands on it, then go ahead and download it and then that will really help you plan your campaigns. Once you have it in that spreadsheet, all you need to do is go over to Google ads and then start building it and copying that data over. It may seem like it’s duplicating work, but believe me, it’s definitely saving you time. I’ve seen people come back to me with feedback on it and they absolutely love it because it really helps nail down campaign focuses and really saves time as well. That’s it. These are the Google Ads best practices and your business should be doing them as well. If you have more information and want to break down each of these areas I’ve discussed in more detail, I’ve got a ton of videos across the channel that can help you do that. If you like this video, just leave me a like below. Let me know in the comments if you’re going to follow Google Ads best practices or if you haven’t been why you should start doing it. More important than that, don’t forget to subscribe and check out the other content on my channel and I’ll see you guys on my next video.